How to get there: See the description under Fuglafjellet, 1334m. 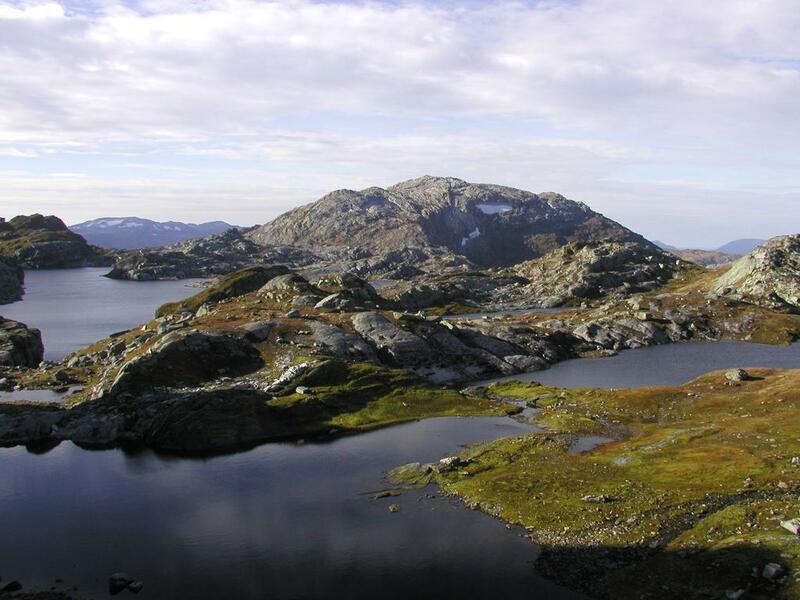 Route description: The route follows the route to Fuglafjellet until reaching the pass Gråurdskardet, 990m. From here turn left (west) and climb to the summit. 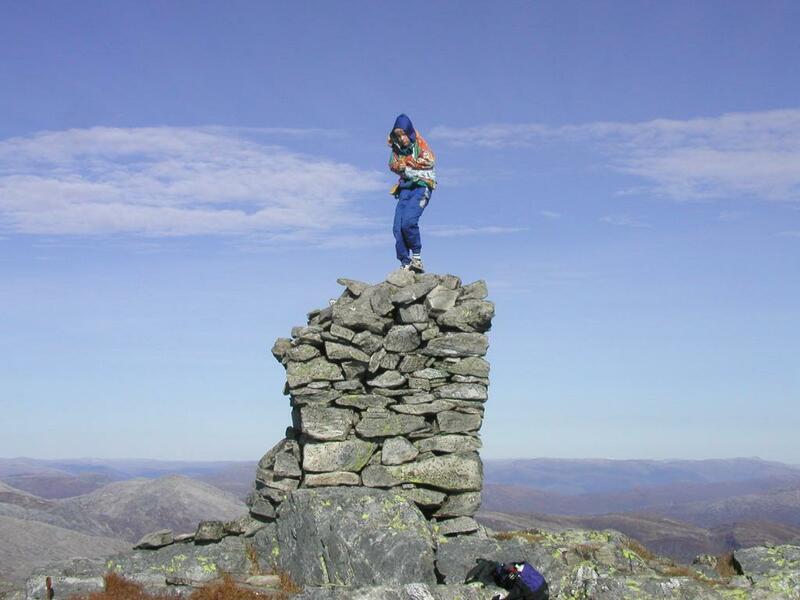 Comments: I did this hike with Arnt Flatmo and my son Pål Jørgen, age 12. The cairn on the summit is about 2.5 meter tall and well built. The view is very good in all directions. The hike from Gråurdskardet is quite short, perhaps about 30 minutes. 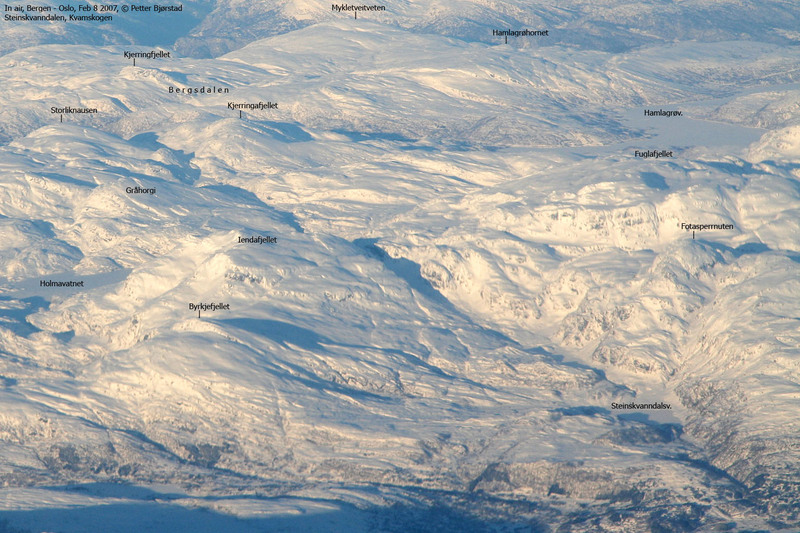 Iendafjellet, as seen from the air on February 8th. 2007. 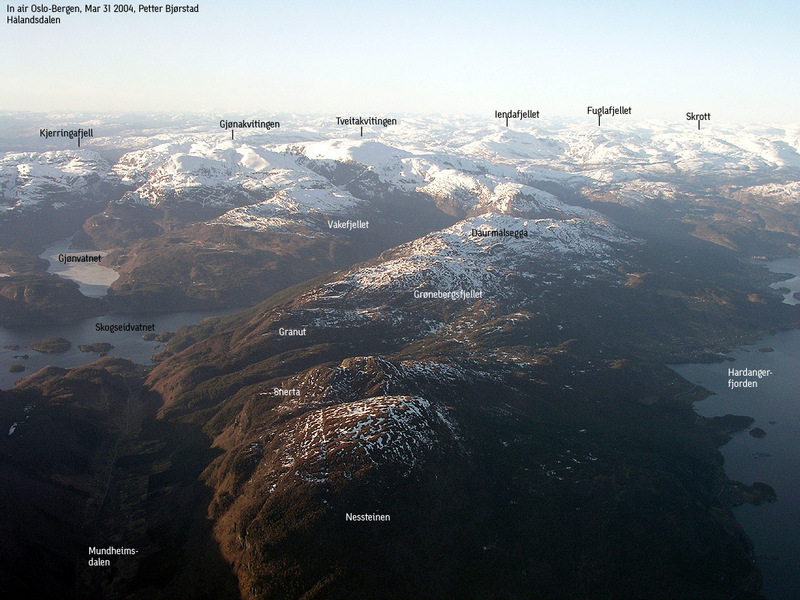 Iendafjellet and nearby mountains seen from the air. On the summit of Iendafjellet. 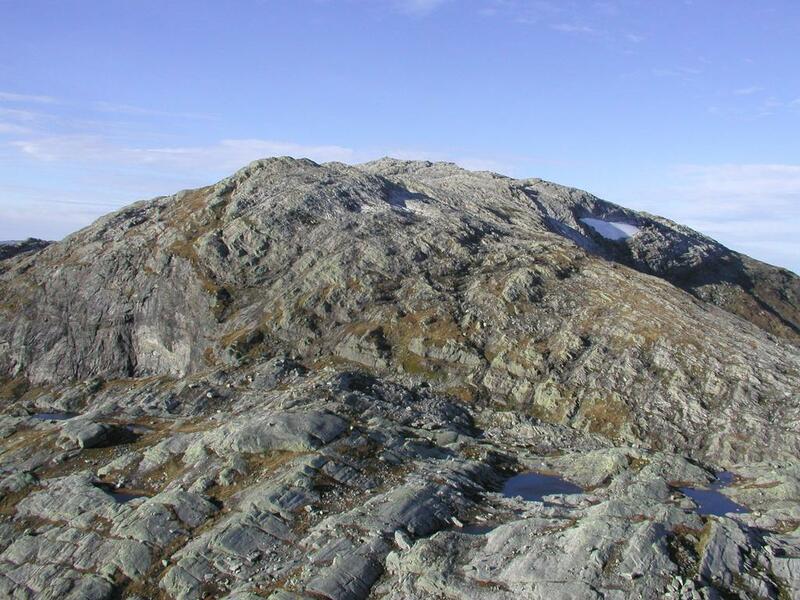 Iendafjellet, a closer look from point 1070.